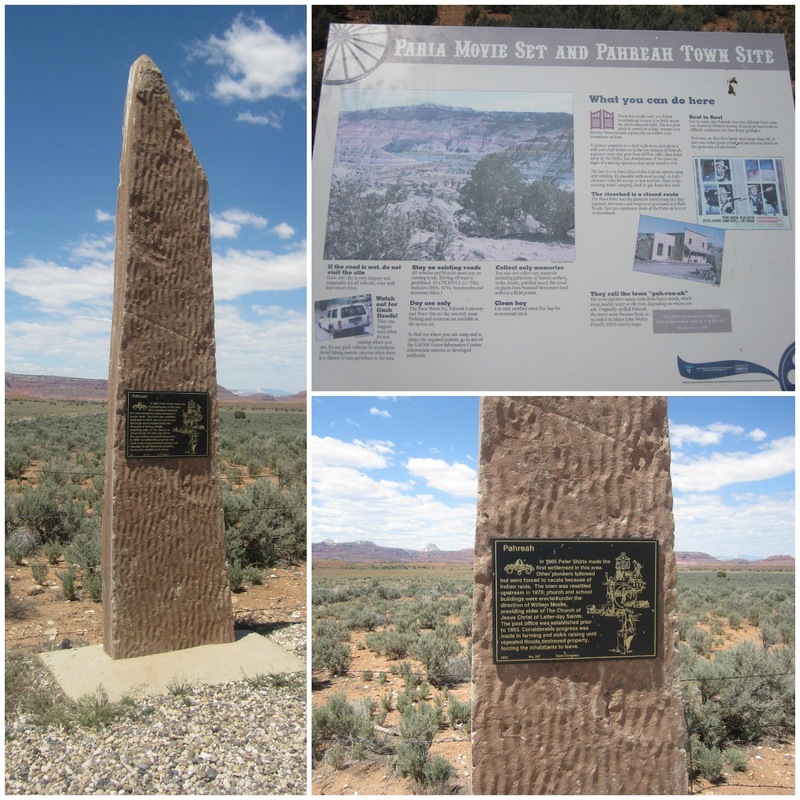 One of the reasons we decided to take the small road down to Kanab was so we could go through Paria. According to what we were reading on the signs, Paria had a movie set within it which was what we wanted to check out. 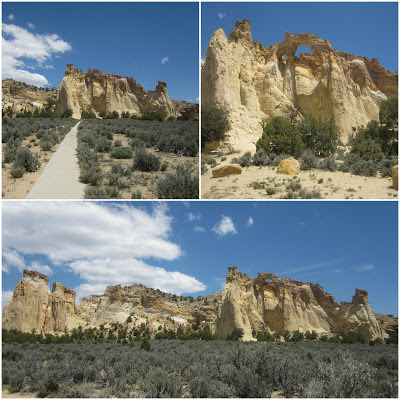 Once we were within cellphone service again, we looked it up and learned that Paria was a ghost town as well and that we could visit the old town. It sounded like a fun place to visit and let the kids stretch their legs, but alas, we were never able to find anything resembling a town or movie set. We found different signs about the town as well as the registry, but we drove around the best we could before we gave up and turned around. There was a place at the end of the road that we could have parked at, but there was no signs that we could see to point us in the right direction so we decided not to try it. It was lucky that we had 4-wheel drive here because the road turned into heavy sand without much warning. We did just fine, but we did have to help push a car out of the sand as we left. 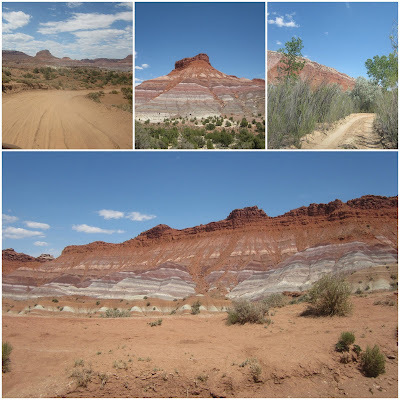 Despite never finding the town site, it was a very scenic drive and it was really cool to see the rainbow colors of the rock sediments surround us. 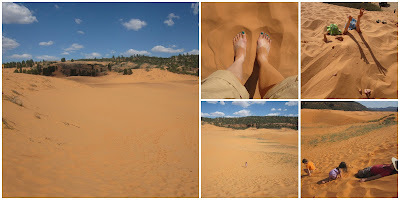 The next place we visited was the Coral Pink Sand Dunes State Park. Rachel suggested it and it sounded like it was perfect for our sand/dirt-loving kids so we decided to take the quick 15 minute detour outside Kanab. I'm glad we did because it was definitely worth it. 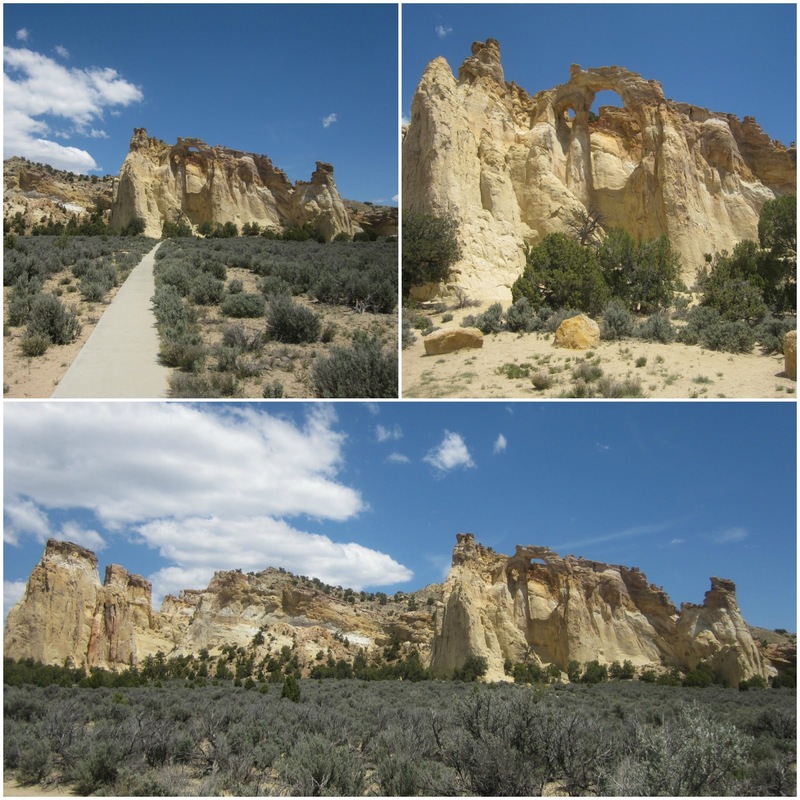 If you're into visiting parks and seeing unique geological features, put this place on the list. Apparently, the dunes are estimated to be 10,000 to 15,000 years old and they're the only major sand dune field on the Colorado Plateau. Check out their site for more interesting tidbits, like the fact that the Coral Pink Tiger Beetle can only be found there. In addition to the unbelievable views, experiencing the sand was a treat. It was so soft and fine that it instantly stuck to our skin and didn't come off until we took showers later that night. The kids had a great time digging and burying each other in it. 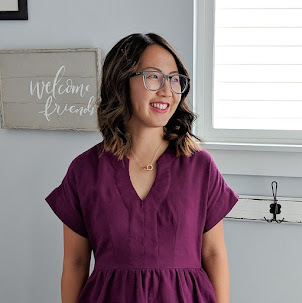 This was our first real spontaneous road trip with the kids and it turned out really well. We were a little worried about gas between Paria and Kanab, but we made it just fine. Next time we're in the area, we will definitely be hitting up the many other parks we missed out on.